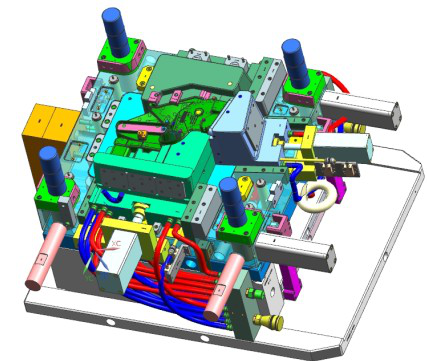 Our engineers will cooperate with your designer and assist you to develope their new products.. After finished the design work, we can provide the prototype for your testing the assembly and other functions with 2-5 days. Our experienced Team of Engineers work with the latest Engineering tools and software helping you construct a quality plastic part. This also allows our Tooling Engineers to create the best and most cost effective Tooling for your project requirements. Let us help ensure your product can be manufactured. We can review your CAD files or part drawings and provide feedback on possible quality issues or areas in need of improvement. We support multiple file formats including STP,PRT, SAT, IGES,DXF, X-T,SolidWorks and much more. 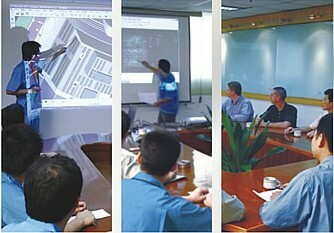 We also do Moldflow Analysis during our mold design period. Xcentric Mold utilizes Moldflow analysis that can be used to simulate the broadest range of injection molding processes to predict and avoid potential manufacturing defects, and enable you to predict and solve manufacturing problems in the earliest stages of product development. No. A Building,Donghuan Industry Park,Nanpu Rd.